Prior to last summer, Canadians really did not know what the industry was up to as far as the future of wireless. EMRHA has been covering the effects from wireless devices for decades now, and the future does not look promising. In the United States small cells are proposed to be installed all over the nation, using new bills to allow them practically anywhere. Cities like Cleveland have stepped up to the plate and said enough is enough, this is a problem. However are they concerned over the overkill of new wireless antennas? 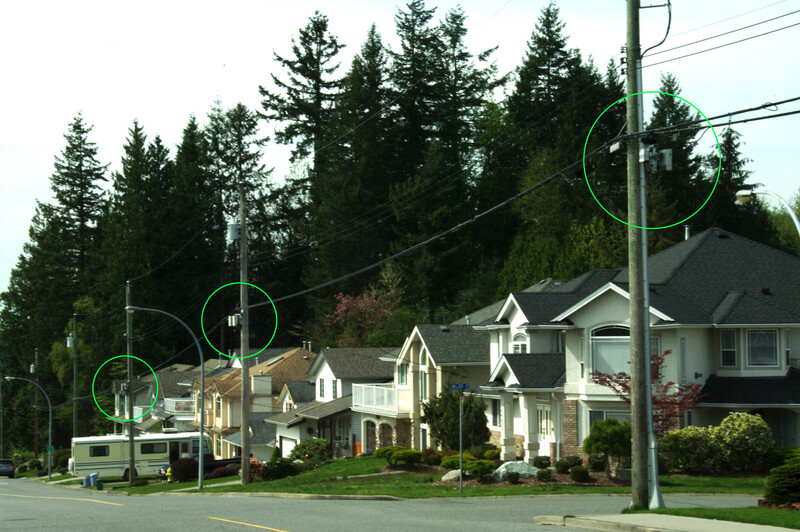 Are they concerned that these small cell antennas are so close to homes? or are they just concerned that their City council is loosing the power to control their city. All of the above should be the answer, but its not clear if it is over health at all. Another group is fighting a bill for small cell antennas in California, Bill SB 649, which was unfortunately passed. One article states that 800,000 new small cells are expected in the Usa by 2026, thats a lot of electromagnetic radiation exposure to add to the present levels people try to deal with. Just imagine what it will be like. So where is Canada on this topic? Is it asleep at the wheel? How is Telus and Bell allowed to install all these eNodeB antennas (small cells) all across British Columbia, Alberta and Southern Ontario and Montreal? Is Industry Canada just laughing away counting its money?? What will happen when the wireless industry and Health Canada does admit there is a problem? Are investors going to lose their shirt? Is Canada going to be upset? The Cell Phone Industry has lied their way through several decades now, pretending cell phones and cell towers are all safe, but anyone can talk to a brain surgeon and see that more patients are coming in with brain tumours. All people need to do is wake up, all the facts are easy to see. CBC Market Place recently did a follow up story on safety statements for phones. For decades people were not aware of this. Industry was covering their back with the guidelines, but likely knew most users would not even bother to read them. If they did make the warnings more apparent, that may have caused concern and people concerned may have decreased their use of cell phones, something industry does not want to see. Industry always says there is so much demand, and new antennas such as small cells are needed. Five or ten years from now when all the projected small cells are up and running, people will be asking “why didn’t people say something about these antennas?”. The time is now, Its time to wake up and see what is happening. The wireless industry has a gigantic growth projection in mind, and they do not seem to care about your health or mine, just what it will mean to their investors and bottom line. They are building it in silence. Canada survived prior to the wireless age, and it will after the fall of the wireless age, but at what cost : innocent lives or individuals effected by wireless microwave radiation so much that their career is no longer possible? Health Canada can play us only so long, they claim studies say its safe, but ignore the ones that show it is not safe at all. There are many EHS, electromagnetic radiation sensitive individuals in Canada, and will soon be more if the small cell roll out continues. With cell phones, Europe was ahead of the pack, and therefore their health effects started earlier then other nations. The United States started using wireless slightly ahead of Canada, so likely the Usa will receive the health effects from small cells before Canada does. However by that time, Canada will already be too deep into the mess. Its not like its by choice this time, cell phones and wifi were up to the choice of the individual, purchase one right away, or take your time and see what happens to the other guinea pigs first. This time is everyone gets the radiation exposure from smart cell antennas, like it or not. Is that ok with Canadians? Read more about eNodeB Small Cell Antennas, soon to be close to a office, classroom, living room or bedroom window near you. What can you do? Share the info about companies like Telus and Bell rushing to install small cells, Share it with friends and family, Write to your City Hall, MLA, Premiere, Prime Minister, Health Canada and Industry Canada. Let your Doctor know about it. Everyone needs to know what is ahead. Please share it with your Neighbourhood. This entry was posted on April 5, 2017, 3:15 pm and is filed under 4G, 5G, 5G Antenna, antenna, British Columbia, Canada, cell tower, ehs, electromagnetic sensitivity, eNode, FCC, health and safety, microcell, microcell, Ontario, Quebec, Radiation Refugee, small cells, Telus, United States, wireless devices. You can follow any responses to this entry through RSS 2.0. You can leave a response, or trackback from your own site.